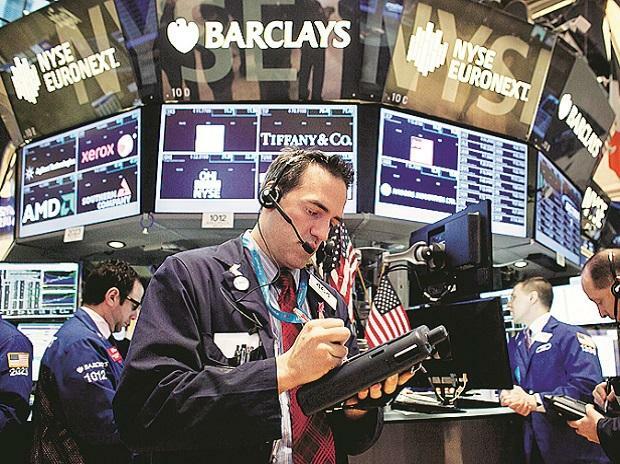 US stocks gained modestly on Tuesday as upbeat results from Walmart boosted investor sentiment and high-level US-China trade talks resumed. All three major US equity indexes edged higher, with the Nasdaq on course for its seventh consecutive day in the black. The benchmark S&P 500 looked set to post its fifth session above its 200-day moving average, a key technical level. Consumer discretionary stocks, led by Amazon.com, provided the biggest lift to the S&P 500 and Nasdaq, while Walmart Inc headed up the blue-chip Dow's advance. Walmart reported a better-than-expected jump in same-store sales during the holiday quarter, sending shares of the world's largest retailer up 3.3 percent. "I think Walmart numbers gave a boost to investors, it's a bit of a proxy for the economy and for consumer sentiment, given its reach," said Chuck Carlson, chief executive officer at Horizon Investment Services in Hammond, Indiana. "So that's probably given a ray of light to the bulls today." A fresh round of high-level trade talks between the United States and China began in Washington, with US Chamber of Commerce vice president Myron Brilliant expressing hope that "the two sides will reach a comprehensive, bold and significant trade agreement." Investors look ahead to Wednesday, when the Federal Open Market Committee (FOMC) is slated to release minutes from its January policymaking meeting. The minutes are expected to reaffirm the central bank's statement last month that it would be "patient" with respect to further rate hikes after markets swooned late in December on fears of an economic slowdown. Indeed, in the quarters ahead, analysts see a slowdown in corporate profit growth. While fourth-quarter profits are expected to have increased by 16.3 percent, the outlook going forward grows cloudier. First-quarter 2019 earnings are now seen dropping by 0.6 percent from last year, which would mark the first annual decline since the earnings recession that ended mid-2016. The Dow Jones Industrial Average rose 28.85 points, or 0.11 percent, to 25,912.1, the S&P 500 gained 6.95 points, or 0.25 percent, to 2,782.55 and the Nasdaq Composite added 21.40 points, or 0.29 percent, to 7,493.81. Of the 11 major sectors in the S&P 500, all but healthcare and real estate were in the black. Amazon was up 1.3 percent, bouncing back from a two-day selloff following news that the e-commerce giant's China unit is in merger talks with Chinese shopping site Kaola. Shares of Freeport McMoRan jumped 6.9 percent after Citigroup raised the stock to "buy" from "neutral." Medical device maker Medtronic Plc rose 0.3 percent after beating estimates for quarterly profit. Among losers, toy maker Mattel Inc was down 1.3 percent, paring steeper losses after providing weaker-than-expected sales guidance. Advancing issues outnumbered declining ones on the NYSE by a 2.14-to-1 ratio; on Nasdaq, a 1.54-to-1 ratio favored advancers. The S&P 500 posted 37 new 52-week highs and no new lows; the Nasdaq Composite recorded 89 new highs and 19 new lows.